Waterproofing your home is one of the most important things that you can do. 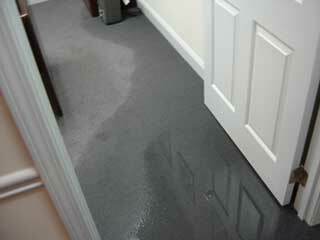 Unfortunately, there are certain parts of homes that most of us forget to waterproof, such as the basement floor. Concrete basement floors can be eroded by water just like any other area of your house. This is why most basements have built-in drains to help quickly remove water that might be built up on the floor. Concrete floors are also becoming a more common feature in other parts of the home as well. Use the following steps to further waterproof your concrete floor and keep it protected. Before you can do anything with your concrete floor, it has to be prepared. This is an extremely important step that some people try to skip when they are in a hurry. Start by sweeping your concrete floor to remove all debris. If there is any type of dirt on the floor, it will make it hard for paint to stick to it, which is a step we will get to in a minute. If you have cracks in your concrete, do your best to remove debris from the cracks and holes. This is best done with a wired brush. All remaining dirt should be removed from the area with a vacuum. The next step in waterproofing any concrete is patching any holes and cracks that you may come across. A good way to do this is to buy a small bag of concrete that you can easily mix yourself. Then you need to prepare the concrete as the instructions on the bag direct you. Since holes in concrete are usually small, you need to fill a small pastry bag with the concrete mix. This will make it easier to direct the flow of concrete into the holes and cracks. Try to let the holes and cracks overflow just a bit with the concrete mix, and then you can use a towel or other tool to smooth it over. This makes it easier to spread the concrete mix along thin, long cracks. Once the concrete is fully dry, it is time to sand it down so that it is flush with the rest of the floor. You also need to use some of the concrete that you mix to seal around the edge of your basement floor. One of the most common places for concrete to leak is right at its edge. This goes double when talking about a concrete basement floor. As your house moves and settles over time, cracks start to form right where the floor and the walls come together. Using the same method we talked about above, use your pastry bag to fill in the holes. The last part is how you really waterproof your concrete floor. Home improvement stores sell waterproof paint that is designed to adhere to concrete. You need to buy enough of this to paint to cover the entire area. Do your best to plan your painting so that you do not paint yourself into a corner. Believe it or not, this is easier to do than you may think!